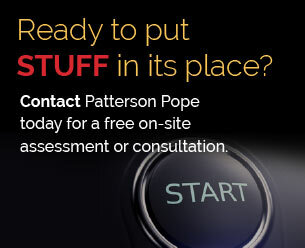 Utilize the Student Furniture – One of the most common complaints is all the stuff students bring into the classroom. This includes backpacks, books, binders, purses, as well as the latest technology. There are several configurable classroom furniture options that provide students with personal storage space as well as giving the teacher the flexibility to arrange and re-arrange their classroom. Student Lockers – There are many accessories that can be added to existing student lockers to maximize the student storage space. Everything from additional shelves, magnetic bins, or even entire hanging locker organizers. If it stays in the locker, it stays out of the classroom! Shared Teacher Resources – Instead of forcing teachers to keep common items inside their classrooms, consider shared storage options in teacher lounges, work areas, and the main office. Utilizing the correct shelving, storage cabinets, and high-density storage provides many benefits. Teachers only take what they need and inventory is easier to track. 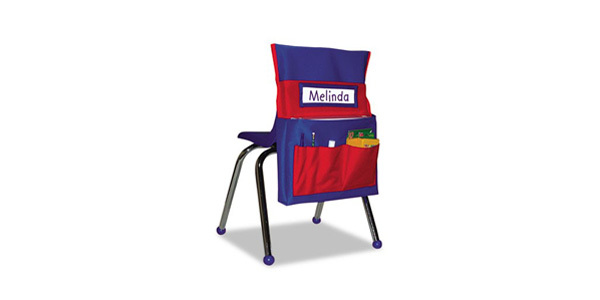 Add Storage to the Existing Student Furniture – Have you seen the chairback buddy pockets? This is a great way to add more storage space to existing furniture, especially for elementary schools. They slide over the back of student chairs to organize supplies and books. Plus, they are machine-washable! Burn the Books! – Just Kidding. But seriously, as many districts are turning to digital textbooks, what happens to the existing textbooks? Much like libraries, it is important for schools to have a culling process to decide what to keep and what to remove. Clutter within the classroom can be distracting to the teacher and students. By taking a proactive approach, schools can continue to create optimal learning environments. Kevin Stoller is CEO of Kay-Twelve.com, a leading provider of school furniture, and is passionate about creating better learning environments, spending time with his family, and ending cancer.